Just change these settings to update the prices across the entire website. If you need help figuring out your numbers our Home Loan Provider is more than happy to help explain things. Call 704-451-5983 and ask for Tim Hege. "Dena is outstanding! She listed our home for sale and also helped us buy our new home. Her marketing of our home got us 5 showings in the first two days, followed by 2 offers! She also always met us without hesitation any time we wanted to go look at our new house we were purchasing. She was knowledgeable about the houses in the area and especially the house we purchased. Dena was always calm, went above and beyond for us, and did anything and everything we asked of her. 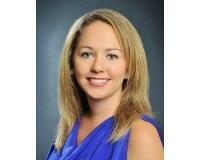 I would highly recommend Dena to anyone looking for a real estate agent in the Charlotte area. "